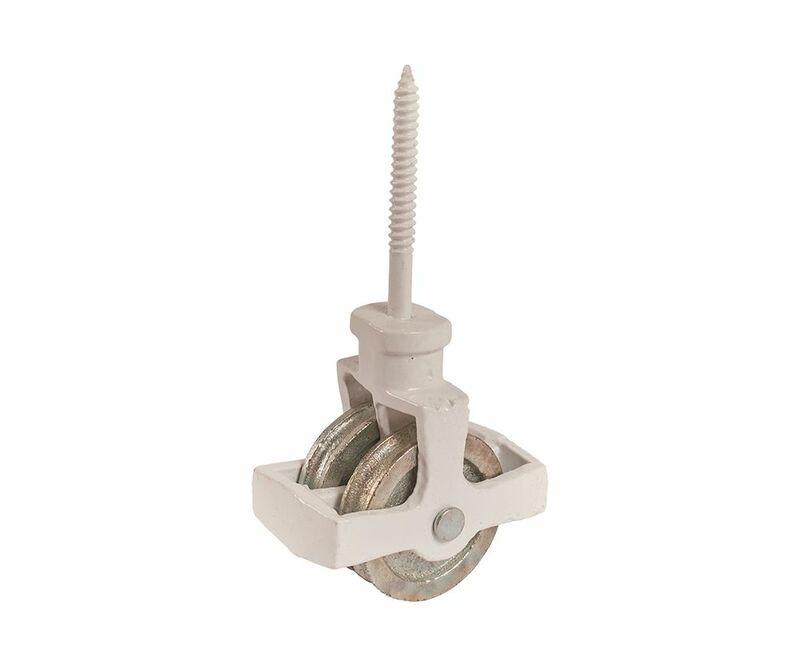 Double Cast Wheel Cast Screw Pulley is made of strong durable cast iron including the 2 grooved wheels. Featuring a 64mm screw to fix the pulley into position usually into wood. The wheels of this pulley would suit a 6mm diameter rope or wire.